When Christ comes unexpectedly at the end of this Age, He will redeem his people from the Earth. The dead in Christ will rise first followed by those who are alive in Christ. This is the first ressurrection and the rapture (or the Harvest) at the End of the Age. Believers will all stand before The Judgment Seat of Christ and will reign with him for 1000 years in Heaven over the Nations on Earth and will be rewarded for the things that they have done in the Body. When Christ returns with his army of Believers, he will defeat the Beast and the False Prophet and the Kings of the Earth. He will separate the nations into the Sheep and the Goats. The Dead outside of Christ will not be raised until after the Millennium. Satan is bound for the duration of the Millennium and then is released for a brief time before being thrown into to the Lake of Fire where the Beast and the Antichrist were thrown at the Battle of Armageddon before the Millennium started. At the End of the Millennium, the Dead in Hades and the Sea will be raised for Judgment at the Great White Throne. Those whose names are not in the Lamb’s Book of Life will be thrown into the Lake of Fire which is the second death. Death itself is thrown into the Lake of Fire. Finaly, when all things have been put under Christ’s feet, the Son hands the Kingdom back to the Father. God then makes all things New. The New Jerusalem descends from heaven as a Bride beautifully adorned for her husband. God lives with Man on Earth in the New Jerusalem which is composed of New and Old Testament believers. The Nations are outside but are allowed to bring their glory into the New Jerusalem once a year and are given the Leaves of the Tree of Life for healing. The Millennium is mentioned six times in the third last chapter of the Bible. Peter also makes reference to a day being like a thousand years. God created the world in six days and we are about six thousand years from Adam! Is Christ about to return? Is the final millennium about to start? The Bible begins and ends with God creating (or recreating) the heavens and the earth the way He intended it to be. In the third chapter of the Bible (Gen 3), Satan enters to corrupt mankind and lead man away from God’s purposes. Not surprizingly, it is in the third last chapter of the Bible (Rev 20) that Satan exits (he is thrown into the Lake of Fire along with Hades and death and all those whose names are not in the Book of Life). In between the first three chapters and the last three chapters of the Bible, God sets about redeeming man and restoring man to his purposes and in so doing, brings Glory to Himself. If Satan would like to remove one chapter from the Bible, it would be the third last one; the one in which he is judged and thrown into the Lake of Fire. This is also the Chapter that deals with the Millennium. The Millennium reveals how God deals with His people and the People of the World (ie the Nations). 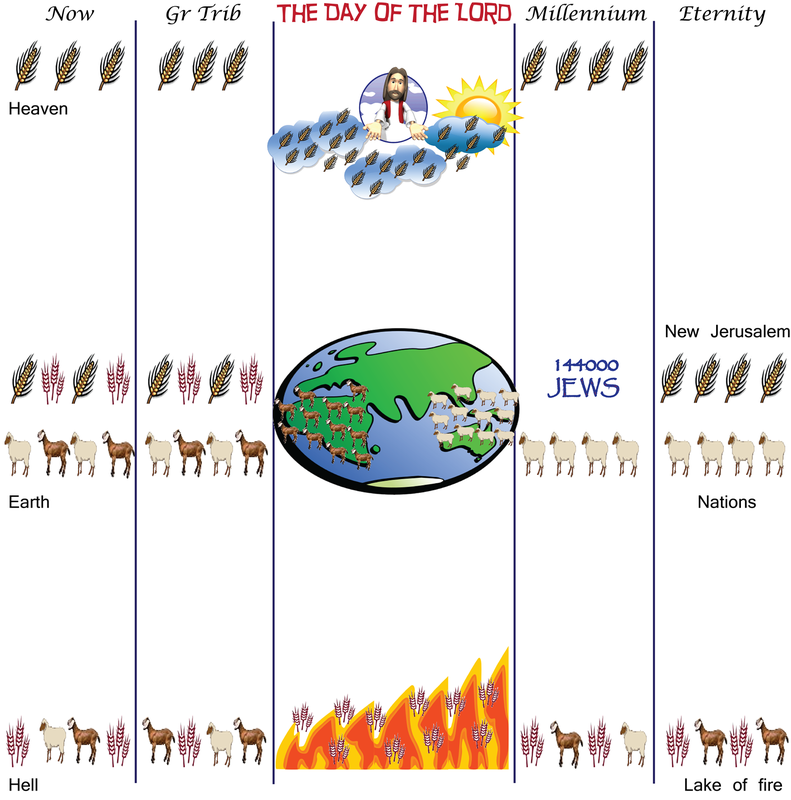 If Christians are to go to heaven after Christ returns, it will be during the Millennium. It is during the Millennium that Christians are rewarded for the things that they have done in the body. 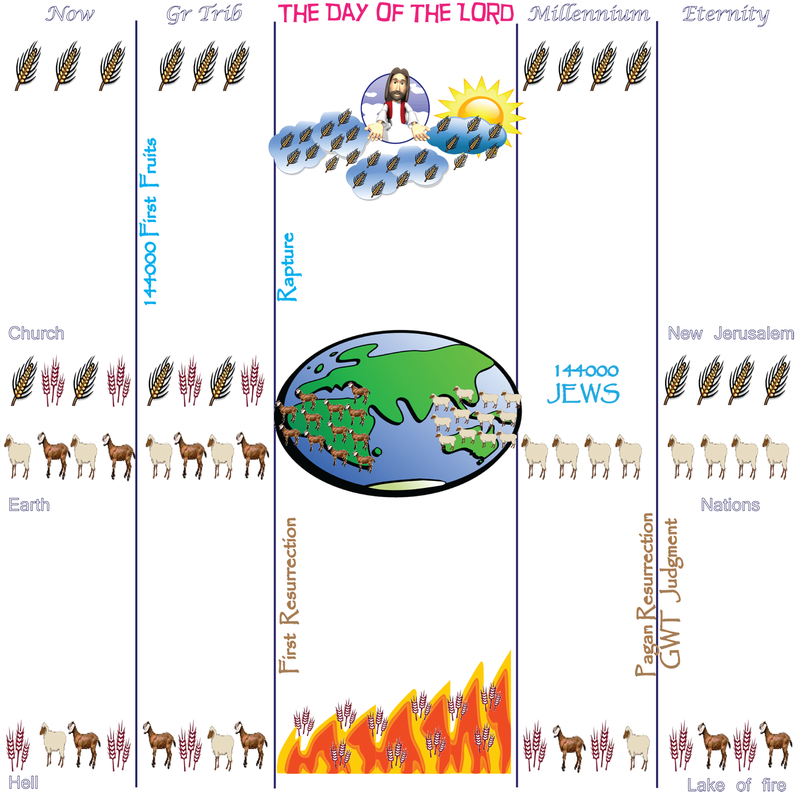 When Christ returns at the beginning of the Millennium, the Nations will be sorted into the Sheep (who were kind to God’s people) and the Goats (who persecuted God’s people). At the End of the Millennium, all enemies are put under Christ’s feet and Jesus hands the Kingdom back to the Father. God then lives with man in the New Jerusalem on a New Earth surrounded buy the Nations who refused the Mark of the Beast and were kind to God’s people during the Great Tribulation.